A short exercise to test your knowledge of 'will' to express the future. 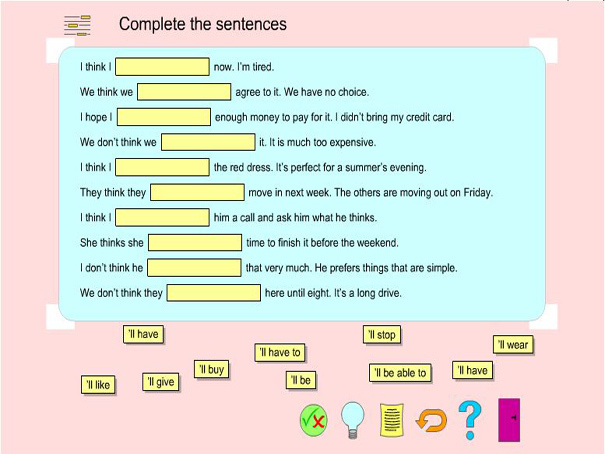 Fill in the gaps in the sentences with the correct 'will' form, then check your answers to see how well you did. There is a Demo to show you what to do, as well as a Help button for hints. At the end you should be pretty good at being able to say what you will be doing in the future!